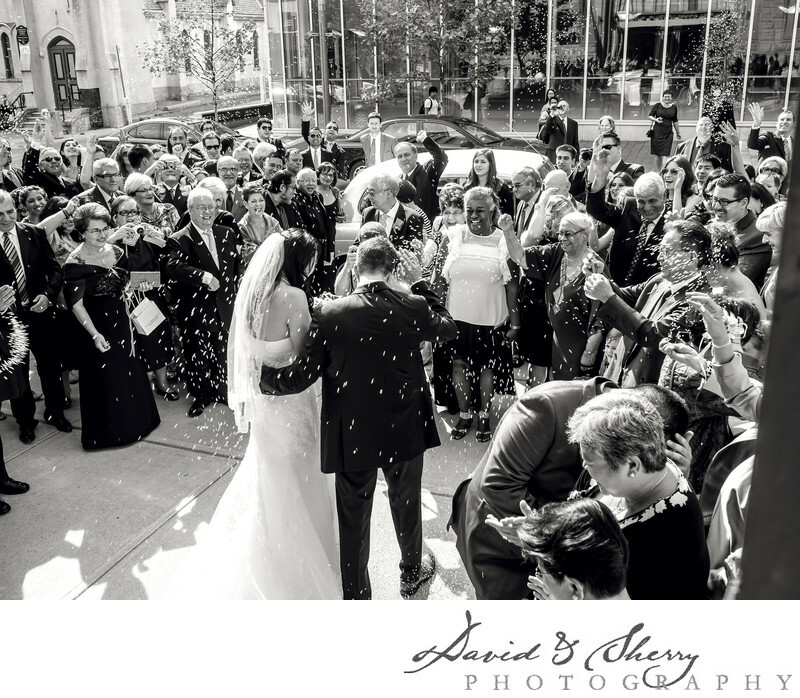 We love to capture photojournalistic weddings in Toronto. From the moment we arrive having our cameras at the ready capturing moments of the bride getting her hair and makeup done, the girls having a blast together in the morning right to the last dance on the floor we will be there to capture it all. When I look back at my own wedding photos the things I love to see the most are the expressions, emotions, and moments that happened that I may have seen or may have happened in the background. Through each part of the day we are looking for those moments and how best to capture them in the best light so as to show off the tears that mom is shedding or the look on dad's face as he walks his daughter down the aisle, which will be their last moments together with her as a single woman. All of these moments become more and more important as the years go on. A picture of grandpa dancing on the dance floor, or of all of your college friends together in one place possible for the last time. We understand the importance of this event and want to capture it for a lifetime of memories.